At this early stage in the solution process, creating awareness is a critical first step, so automating exposure to the idea leverages the efforts of each participant. 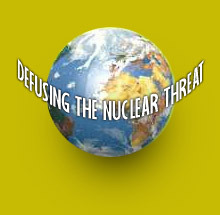 One way to do that is to get one of our "Nuclear Risk" T-shirts. Especially at a place like Stanford, wearing that T-shirt will create repeated impressions within an interconnected population, helping us reach a tipping point or critical mass much earlier. 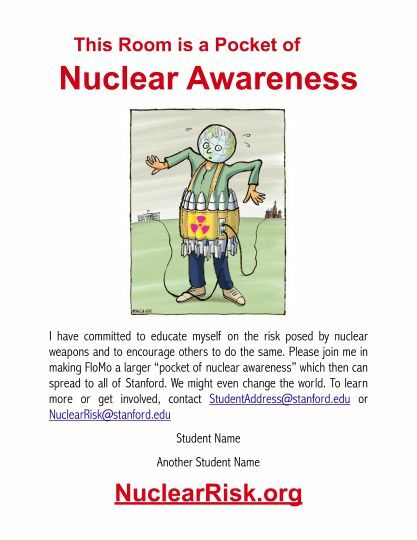 This page describes another method of automating exposure to the idea, utilizing a poster that can be placed on a dorm room or office door, signifying your commitment to learn about the nuclear threat and to encourage others to do the same. Everyone who passes by that door will experience a blip of awareness and, as additional posters pop up, multiple exposures can work their magic, creating awareness and interest where none existed before. The poster shown here is for Florence Moore Hall at Stanford, known locally as FloMo. Click on that image to download a Microsoft Word document that you can personalize with your name, location (including a different school or group) and contact information. Participants are also asked to learn the short story that goes with the drawing on the poster, so they can relate it to people who ask about it. The drawing on this web page is licensed from Barrie Maguire and owned by Martin Hellman. 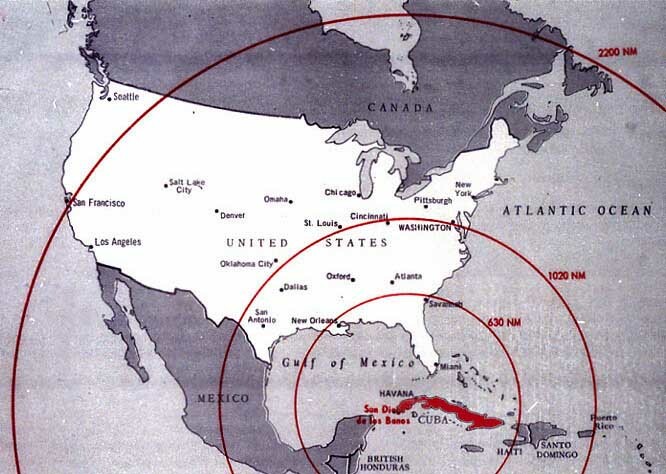 Permission to use the drawing is granted at no charge, provided a reference to http://nuclearrisk.org (or abbreviated as NuclearRisk.org) is included.